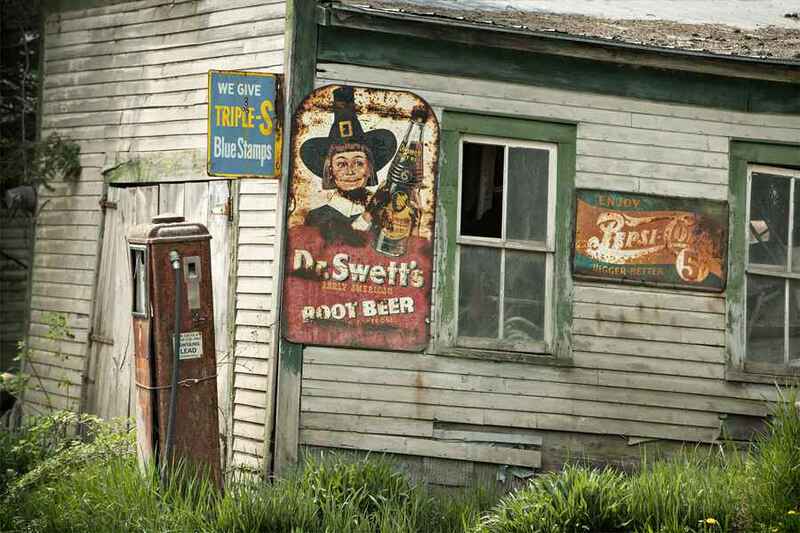 15.00 " x 22.50 "
Signage: Dr. Swett’s Root Beer was founded by Dr. George W Swett (1834 -1924). Swett owned two large wholesale and retail pharmacies in the 1800s – one in Boston and the other in New York City. His natural herbal root beer (est. 1845) was first sold in little packets of dry ingredients and as a soda fountain drink in his pharmacies, then it was shipped to other pharmacies as syrup to be mixed with soda water and later it was pre-mixed and sold in bottles. Swett’s root beer was produced up until the 1950s. Experimenting with his herbal brew from a very young age, Swetts made his root beer from herbs such as Checkerberry (Tea Berry), Sweet Birch, Sassafras, Sarsaparilla, Spikenard, Juniper, Wintergreen, Ginger and Hops. His advertising stated “Beer made from this extract is in every respect the most refreshing and beneficial drink of its kind manufactured. Its medicinal properties render it exceedingly valuable in any disorder of the stomach, liver, or kidneys”.